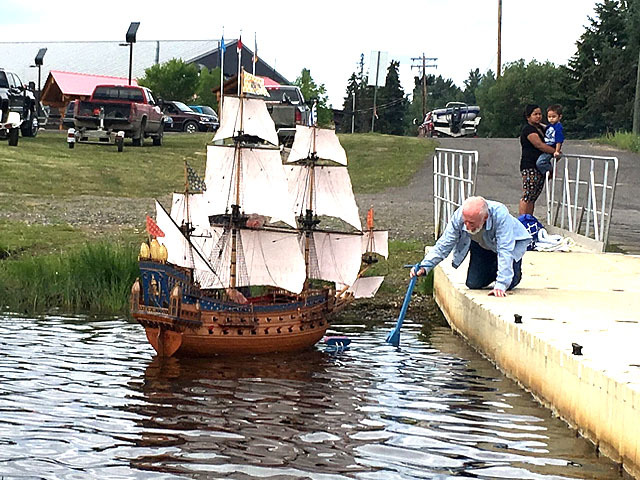 MODEL SHIPS - Francois Lake B.C. 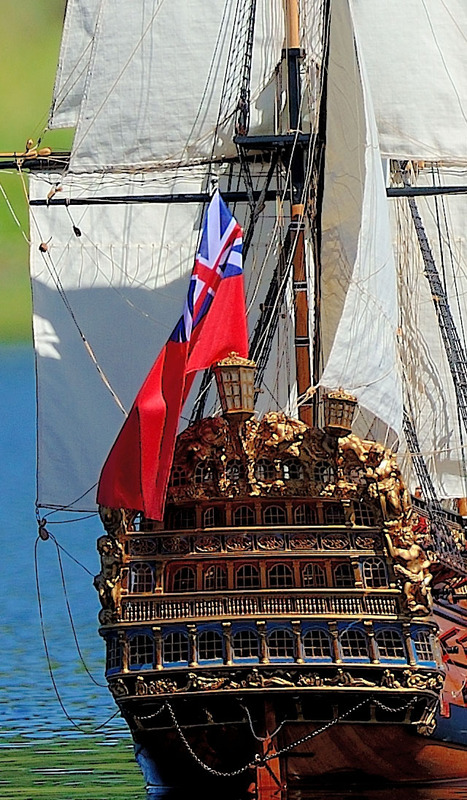 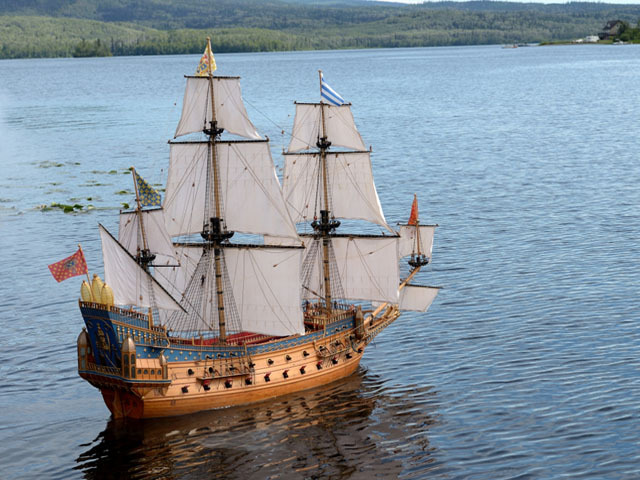 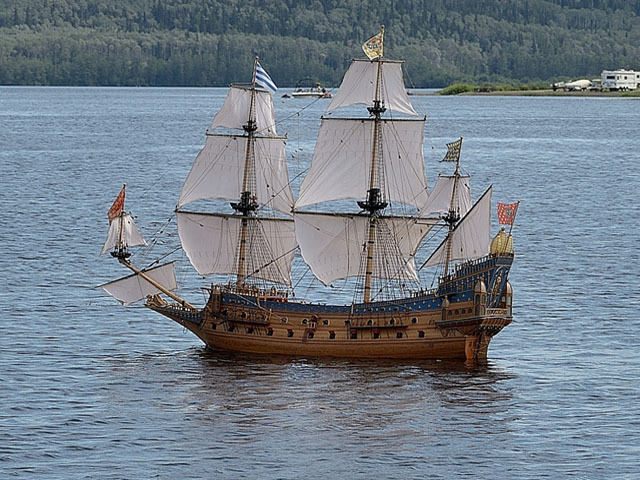 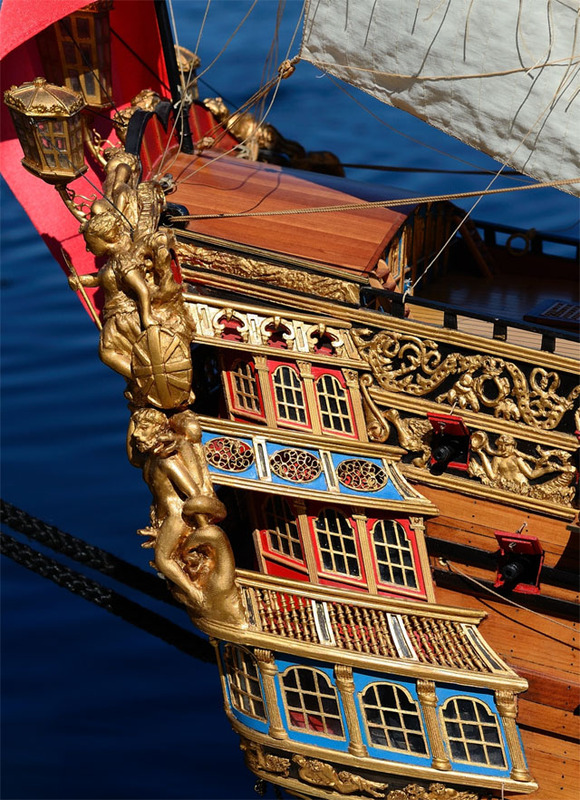 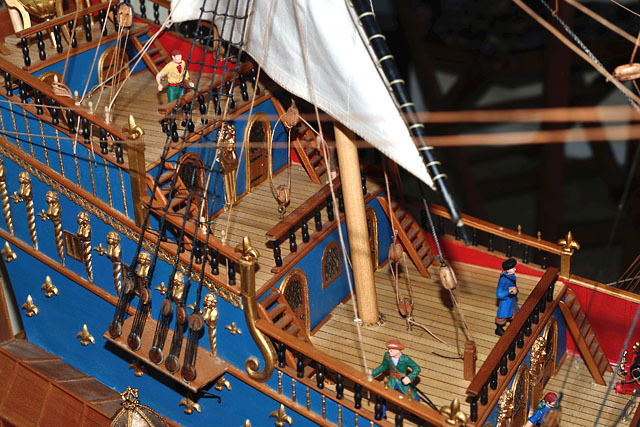 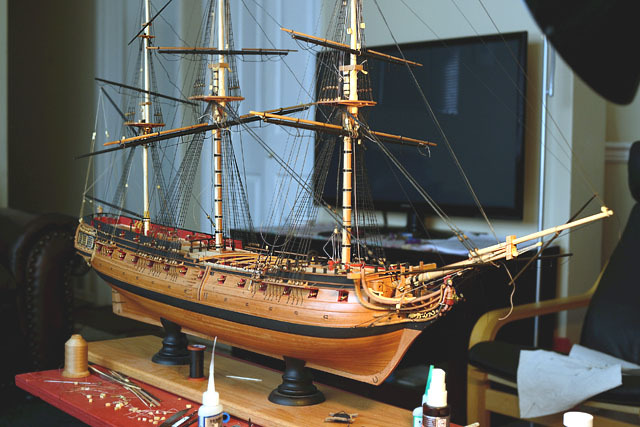 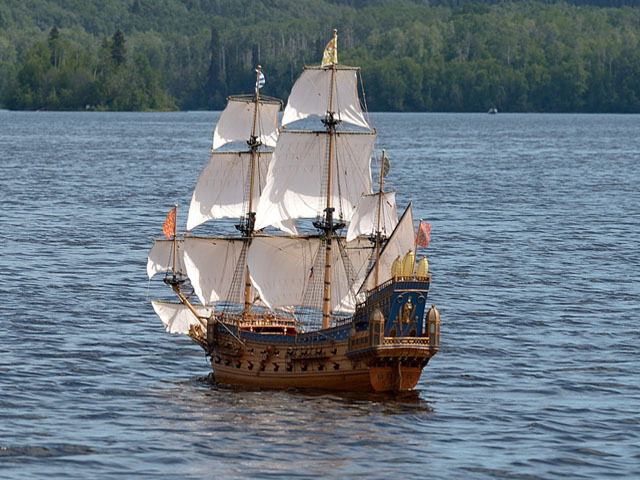 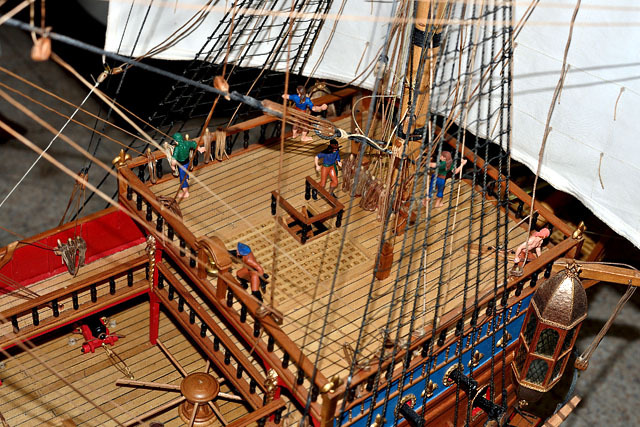 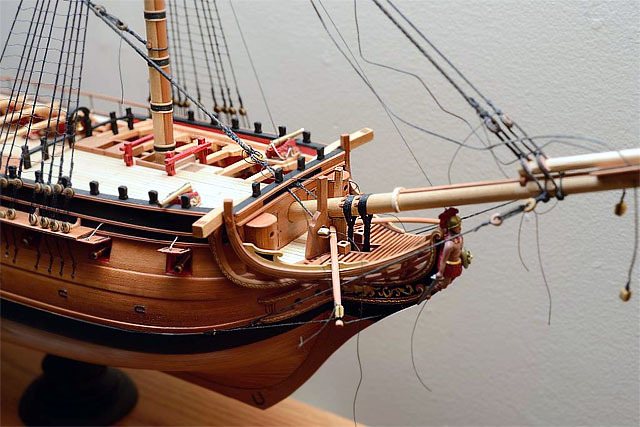 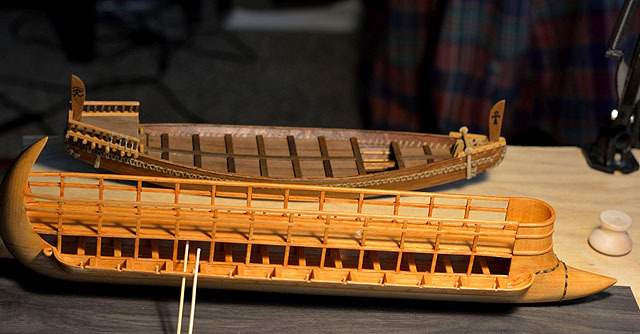 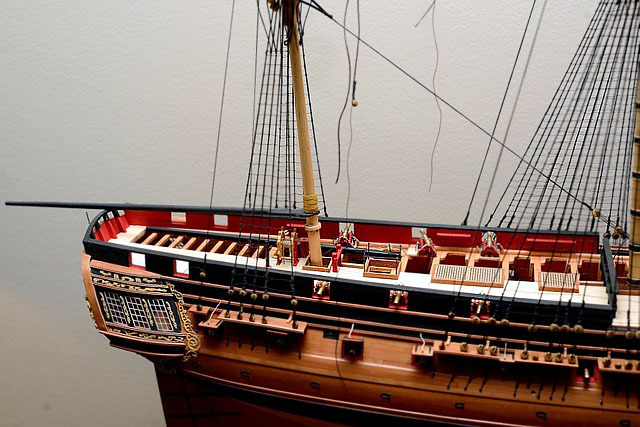 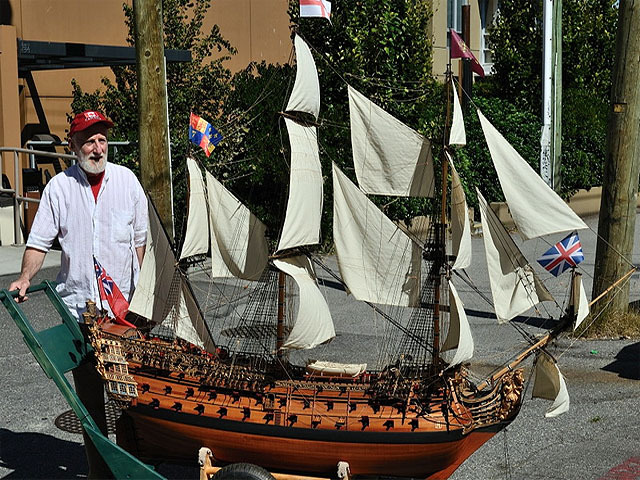 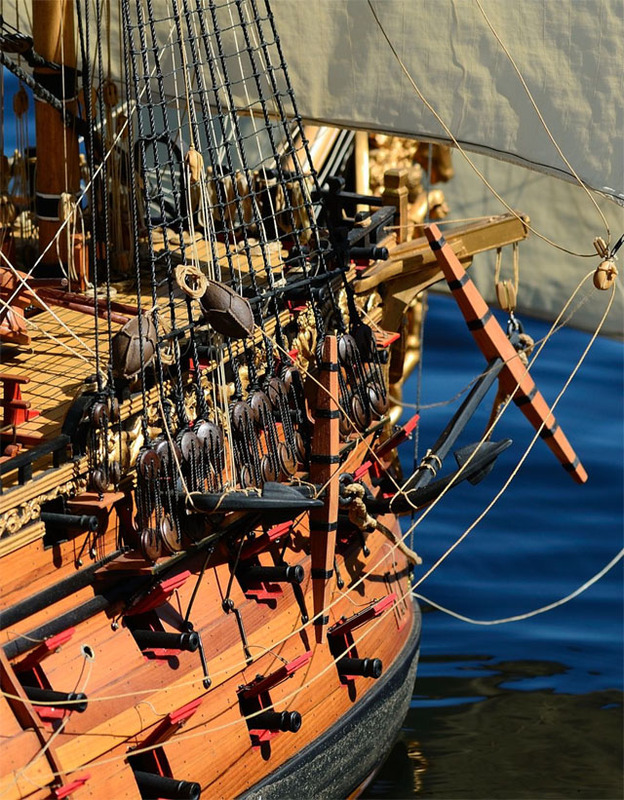 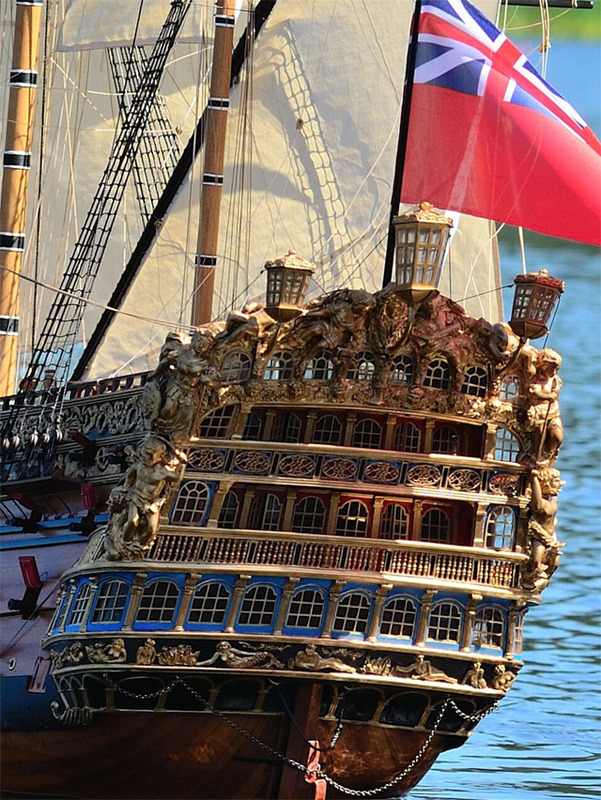 Canada, HMS Agamemnon, HMS Bounty, Others, Model ship building hobby. 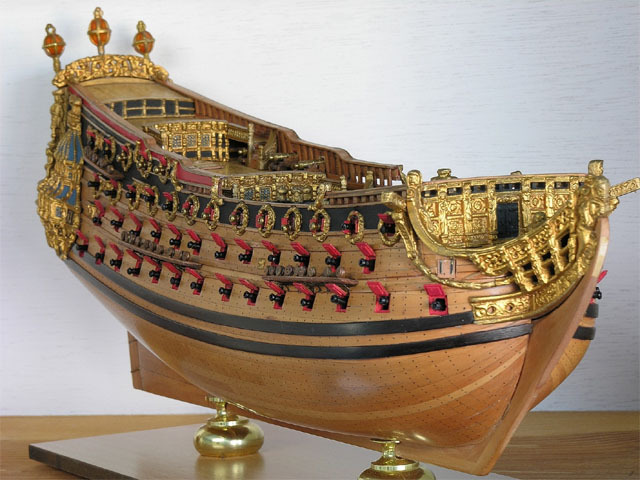 La Couronne - Scratch built. 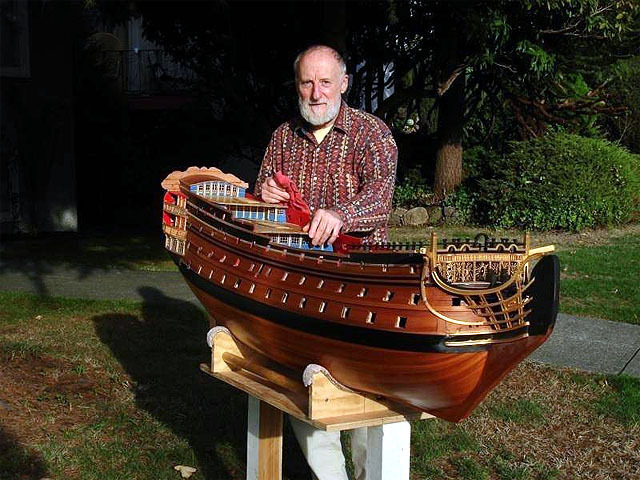 Used cherry wood, reinforced with epoxy resin and 4oz fiberglass on the inside, and one layer of 2oz glass on the outside, sprayed with urethane. 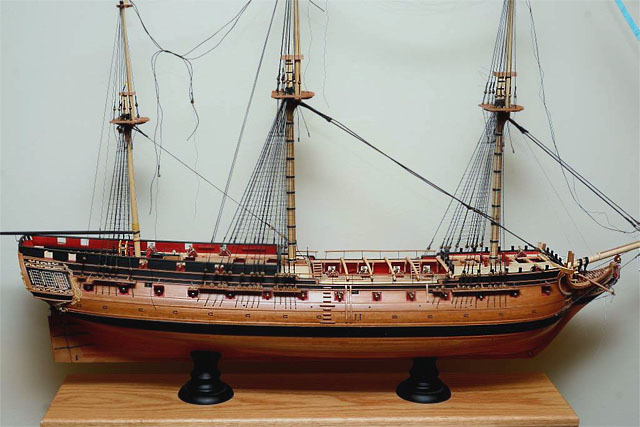 Used plans from 'P�risSouvenirs de marine122.jpg'. 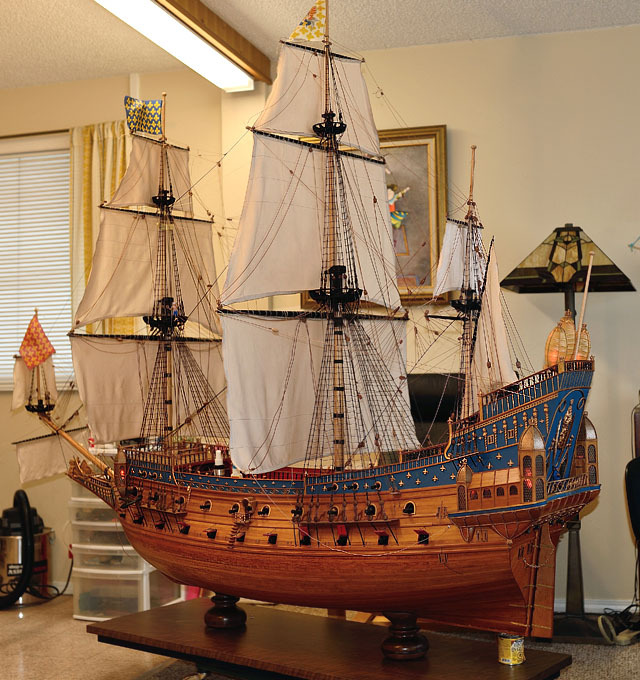 Just under eight feet long. 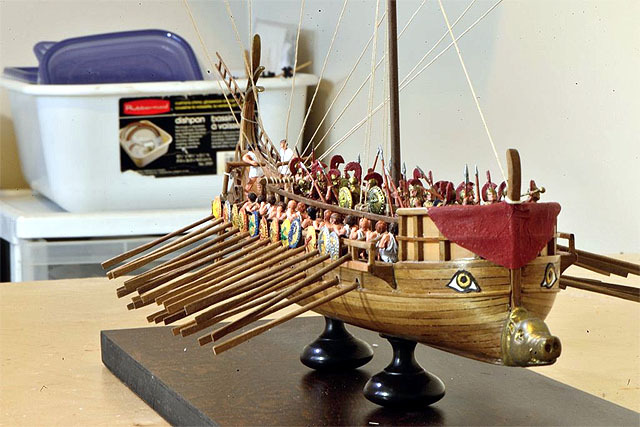 Greek Bireme - Used the dusek kit as a base, but totally modified it, solely via imagination. 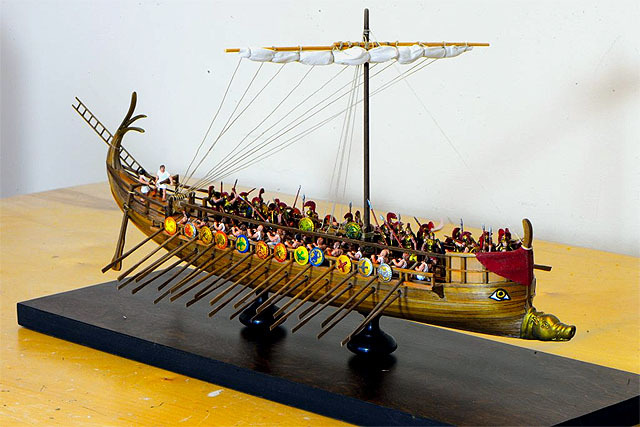 Found some roman crew which were too large so I had to melt parts of them to make them fit. 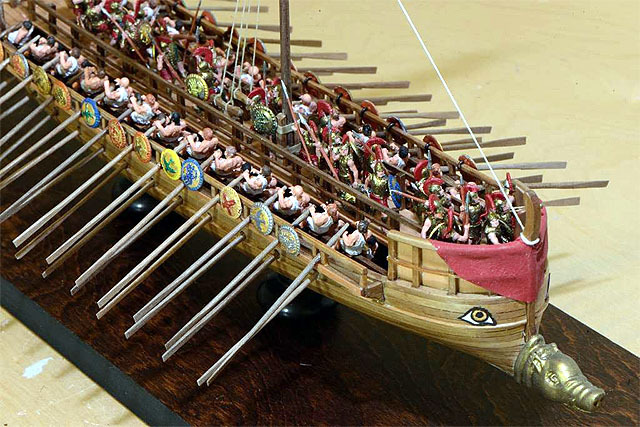 Also found some greek soldiers.